A GSA schedule gives you and your business the opportunity to quote for Federal contracts that require products and/or services. GSA schedule 78 is focused in the areas pertaining to Sports, Promotional, Outdoor, Recreation, Trophies and Signs (SPORTS). There are a number of Special Item Number, or SIN codes that breakdown the categories found within GSA schedule 78. These fall into five key categories. Fitness: This covers fitness center management, maintenance of equipment in the fitness centers, personal training, and class instructors. FSG 78 – Sports and more: This section contains the SIN codes for sporting goods equipment and supplies, the fitness equipment itself and sports clothing. There are also SIN numbers for flooring, greens, and turfs as well as child’s play and sounds of music. FSG99 – Signs, displays, flags and identification products: As the title would suggest, this section contains signs, products relating to safety zones and ancillary services or supplies. Fun in the great outdoors, including parks and outdoor recreational equipment and wheel and track vehicles: This is an extremely diverse section covering camping and hiking equipment, wheel and track vehicles, watercraft, mobile homes, park benches and even outdoor pool and patio furniture. Trophies, awards, presentations and promotional products: Awards such as plaques, trophies, ribbons, medals and even military statues are covered here. Also covered are flags, pennants, and similar related products. Presentation and promotional products are also covered under this SIN. As you can see there is a lot of information and process to understand when looking to attain a GSA Schedule 78. That is where a good GSA consultant can offer your business the competitive advantage it needs to gain approval. The contracts are not limited to the Federal level, they are also active at the State and Local Governments. This is the preferred method for the contracting officers because the vendor is pre-approved. which greatly reduces the amount of red tape and documentation required to get the contract raised and approved. Utilizing GSA contracts reduces the purchasing cycle from almost a year to just o few days or weeks. If you are a GSA schedule holder then your competition is greatly reduced, which should increase your win ratio. Requests for quotes (RFQ’s) are regularly posted on the eBuy portal. Offering those with the GSA schedule the opportunity to quote for open tenders. Perhaps most importantly, it will reduce the costs that your business incurs when creating proposals and even helps to reduce your overall sales costs. The GSA schedule 78 offers one of the most lucrative opportunities under the GSA program. Is it an opportunity your business can afford to miss out on? If you are interested in getting on GSA Schedule 78, contact GSA Scheduler today. 192 03 Fitness Center Management Services – Provide Management Services for a government-owned gymnasium/fitness room, assuring optimal performance of all personnel employed, equipment and amenities at the facility, which may, in some locations, be operational 24/7. Management should possess all skills and knowledge to manage large or small facilities, including knowledge of building operations to ensure comfortable, safe and clean environment, equipment function and maintenance, supervisory ability of personal trainers and/or other required staff, and any required fitness certifications (ACE, ACSM). Knowledge of military fitness requirements may be required. Knowledge of disabled client access/instruction may be required. The contractor shall be knowledgeable of and required to comply with all federal, state and local regulations regarding Life Safety and Emergency procedures. Actual duties will be determined by ordering agency. 192 04 Personal Trainer and Aerobic/Cardio Class Leader/Instructor – The personal trainer will develop personalized exercise programs for individuals or groups and assist them during their workouts. They will promote lifelong adherence to a health and fitness program through realistic goal setting and education. Provide participants with in-depth information on equipment usage, lifestyle management, and ultimately, how to design their own personal fitness program in an effort to produce independent exercisers. The Class Leader/Instructor will create, teach and lead exercise routines in a group fitness class setting, challenging participants in area of cardiovascular endurance, muscular strength, endurance and flexibility. 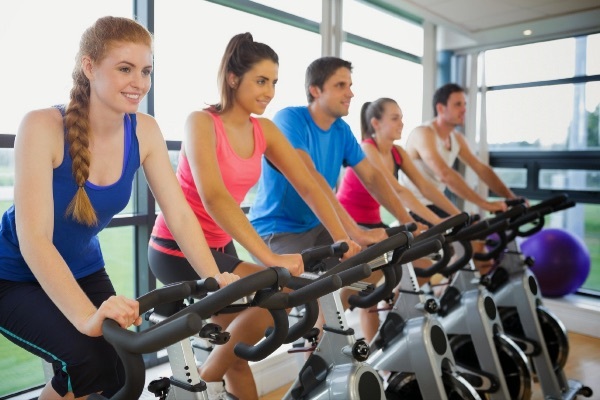 Instructors should be proficient in leading classes such as step, floor aerobics, spinning, and group resistance training. Trainer/Instructor may be required to be knowledgeable of military fitness standards and be available to work shift work. Trainer may be required to posses accredited fitness certifications (ACE, ACSM). Knowledge of disabled client access/instruction may be required. The contractor shall be knowledgeable of and required to comply with all federal, state and local regulations regarding Life Safety and Emergency procedures. Actual duties will be determined by ordering agency. 192 06 Packaged Fitness Center – The contractor will provide all services to design, plan, acquire equipment and install a complete and operational Fitness Center. This provides agencies with one contractual document and point of contact to satisfy their requirements for a complete (packaged) Fitness Center in agency-provided space. Two of the primary objectives under this program are: 1) ease of ordering for the agencies and 2) provide for a turn-key operational fitness center. The prime contractor will be responsible for providing a packaged room of fitness equipment, furnishings, amenities (including possibly locker rooms) and installation services. The furnishings and services are broken down into 4 categories: 1) Core items; 2) Mandatory optional items; 3) Optional items; and 4) Services. Prime contractors receiving awards under this SIN must have the capability to supply or team with other schedule contract holders to supply all of the required pieces of furnishings and services as specified under the task orders issued. The prime contractor coordinates all deliveries and installation with the agency, managing the complete project. 366 11 Signs – Including but not limited to: Programmable, Interactive Directories, Queuing Systems, Architectural/Wayfinding, Site/Facility Identification, Scoreboards, Exit, Vehicle, Traffic, Parking, Construction, Safety/Warning, Sign Making Systems, Stencil Making Devices, Bar Code/Label Making Systems, Placards, Posters, Sign Post/Hardware, and Related Products and ServicesNote: Related Products under this SIN must be exclusive to SIN 366 11, any accessories that apply to multiple Schedule 78 SINs must be classified under SIN 366 90. 366 90 Ancillary Supplies and/or Services – Ancillary supplies and/or services are support supplies and/or services which are not within the scope of any other SIN on this schedule. These supplies and/or services are necessary to compliment a contractor’s offerings to provide a solution to a customer requirement. This SIN may be used for orders and blanket purchase agreements that involve work or a project that is solely associated with the supplies and/or services purchased under this schedule. This SIN EXCLUDES purchases that are exclusively for supplies and/or services already available under another schedule. Ancillary Services excludes construction.Special Instructions: The work performed under this SIN shall be associated with existing SIN(s) that are part of this schedule. Ancillary supplies and/or services shall not be the primary purpose of the work ordered, but be an integral part of the total solution offered. Ancillary supplies and/or services may only be ordered in conjunction with or in support of supplies or services purchased under another SIN(s) of the same schedule. Offerors may be required to provide additional information to support a determination that their proposed ancillary supplies and/or services are commercially offered in support of one or more SIN(s) under this schedule.